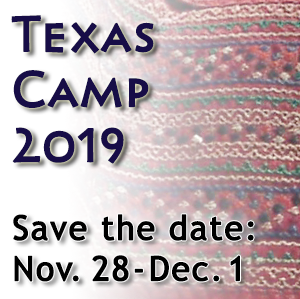 Come join us for our annual Texas Dance Camp with fantastic dance teachers! Lee Otterholt will present an exciting repertoire of Balkan dances and songs and Michael Seider and Anna Sapozhnikova will share with us Zydeco and Cajun dance styles popular in the bayou and prairie country of Southwest Louisiana. This entry was posted in Uncategorized on 17 August 2018 by Jay. The Texas Camp 2016 Syllabus has been posted! Click Here for online access to daily menus, schedules, directions, teaching materials and more. This entry was posted in Texas Camp on 22 November 2016 by Jay.